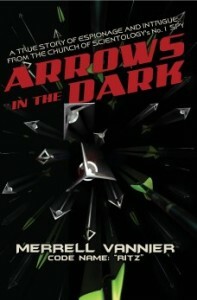 Merrell Vannier reveals his role as the creator and writer of this website in his newly published book, Arrows in the Dark. This event marks a turning point in the history of this site and its mission to reform the church and save it from self-destruction. The policy of forced disconnection not only destroys families; it harms Scientology. Another story about disconnection is making national news. Long-time Scientologist and OT VIII Sara (Lister) Goldberg was declared to be a suppressive person (“declared”) for refusing to disconnect from her son who had been declared for going on the Internet and connecting with former Church members who are critical of Church management. 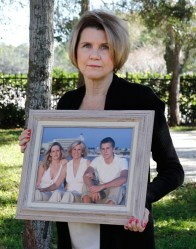 Sara’s daughter, a Scientologist and mother of a child, then disconnected from her mother and brother. Once again, the Church denied publicly that the policy exists, falsely claiming that the policy is voluntary, the choice of its members. WHAT LRH ORDERED: In the early 1980s, prior to his departure, L. Ron Hubbard re-organized the corporate structure of Scientology and ordered the new structure to be implemented. The newly-created governing bodies of Scientology became three California nonprofit religious corporations (i.e, CST, RTC & CSI) with seven separate boards of trustees, general directors and, for CST only, a third board of special directors. See: LRH Intent. WHAT WAS DONE: The corporate structure has been followed in form only, never in substance. In reality, all the boards of general directors and trustees corporate boards are captive and under the control of one man: David Miscavige. That all organizations and aspects of Scientology is subject to one-man rule by Miscavige is one of those facts universally known to all Scientologists, but which, as with the policy of disconnection, the Church publicly denies. 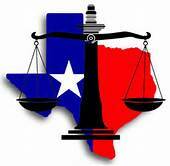 These lies appear destined to dead end in a Texas courtroom. There, the corporate veils of the governing bodies of Scientology are being lifted to expose David Miscavige to personal liability for the alleged harmful actions done under his one-man rule. It is a fine mess Miscavige finds himself in; one that he created and could have avoided; and one that still has a solution.